Suter Brook Dental Group Traditional Or Electric Toothbrush? 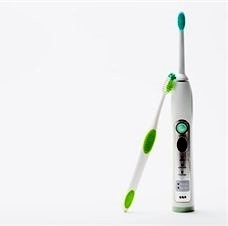 Fast forward to the 1990s, when a new breed of electric toothbrushes came out on the market, and these toothbrushes had more features and far more reliability. These were oscillating-rotating and counter-rotational electric toothbrushes which suited the needs of a lot of people, including the elderly and those with arthritis. Affordability — though electric toothbrushes can be found for under $30, manual toothbrushes are definitely the more affordable option. Fear of technology – it may seem strange, but some people have a fear of technology and prefer to keep things as simple as possible. Dexterity – younger children may be better off with manual toothbrushes, and indeed, there are very few electric toothbrushes geared for children. A great alternative are the ‘tunes’ toothbrushes, which play a song for the 2 minutes required to brush your teeth. There are pros and cons to both manual and electric toothbrushes. If you’re not sure which kind of toothbrush is the right kind for you, contact Suter Brook Dental Group and we’ll be happy to help you make the right decision for your oral health.